KPT (pronounced “Kept”) is a name slowly making waves in the underground edm scene. 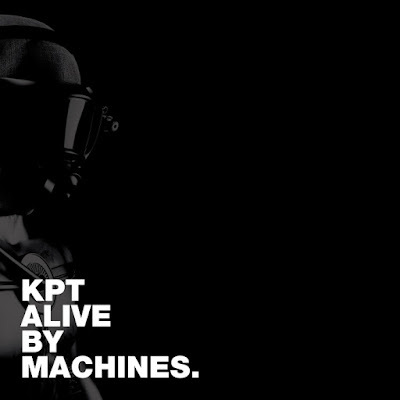 Having released a handful of singles and EPs since 2012 KPT is already being tipped for big things, and if the lead single from his soon to be released full-length début album 'Alive By Machines' is anything to go by, they may be right. The single is 'Descent', and features the sublime vocals of Russian alt-pop vocalist Jekka who lends her unique style to a track that blends industrial, ambient and idm with ease. Beginning with industrial style distorted beats the song begins to unfurl as subtle ambient textures intermingle with the beats and the synth and vocal melodies intertwine. The end result is a hard, yet melodic track that is rich with texture and depth that just begs you to dance. The track is dark, and atmospheric yet completely accessible and polished. It is a smart single that shows that genres such as industrial and darkwave can add depth of flavour to the accessibility of edm. The full length album will definitely be one to keep and eye out for.